Finally, the all-new upcoming twelfth OS X El Capitan 10.11 and OS X Server 5.0 has been released for Mac by Apple at World Wide Developer Conference (WWDC 2015). The latest Mac OS X El Capitan 10.11 Beta (Build: 15A178w) and Mac OS X Server 5.0 Beta (Build: 15S2126s, App Version 4.1.51) desktop and server operating systems are now officially available. Mac OS X developers and non-developers (general public users) can instantly upgrade and install OS X 10.11 El Capitan developer preview beta update for testing and experimenting purpose. The free OS X El Capitan 10.11 Final Version will be released this year's Fall, 2015 at no-cost. The Direct Download Links of OS X El Capitan 10.11 Beta 1 and OS X Server 5.0 Beta 1 .DMG Files are available below. 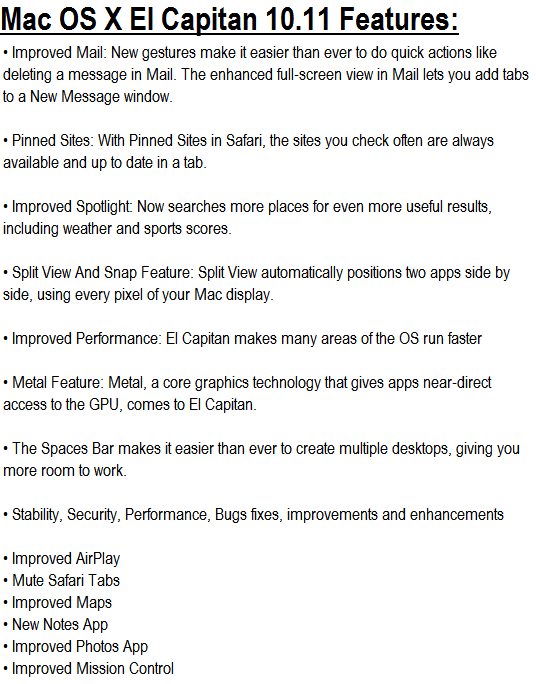 What's New in OS X El Capitan 10.11 Beta Features? The official release notes and changelog of OS X 10.11 El Capitan (15A178w) contains inclusion of new features and functionalities changes, bugs fixes, performance, stability and security improvements and enhancements. More you can read in below image! What's New in OS X Server 5.0 Beta Features? The official OS X Server 5 (15S2126s) changelog and release notes holds, new features addition for Server Application, Caching Server, File Sharing, Profile Manager, iOS 9 and OS X 10.11 support etc. More you can read in below image! 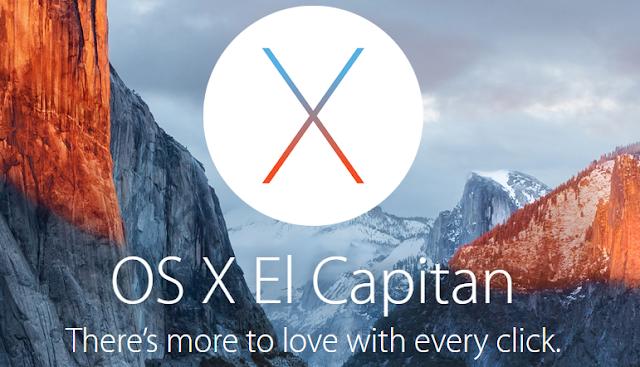 How to Install OS X El Capitan 10.11 Manually? Apple has officially seeded the very first beta pre-release version of OS X El Capitan for OS X developers on OS X Dev Center website for full OS X 10.11 Beta Downloads. All OS X non-developers (general public users) can install and activate OS X 10.11 Beta without registered UDID developer account via iTunes for Free. Mac OS X El Capitan v10.11 is available in multiple languages i.e. English (US / UK), Arabic, Catalan, Chinese, Croatian, Czech, Danish, Dutch, Finnish, French, German, Greek, Hungarian, Italian, Japanese, Korean, Malay, Norwegian, Polish, Portuguese, Romanian, Russian, Slovak, Spanish, Swedish, Thai, Turkish, Ukrainian and Vietnamese. Download OS X El Capitan 10.11 Beta 1 and OS X Server 5.0 Beta 1 via Direct Links and Torrent Links below. Download Xcode 7.0 Beta 1 .DMG File from HERE. 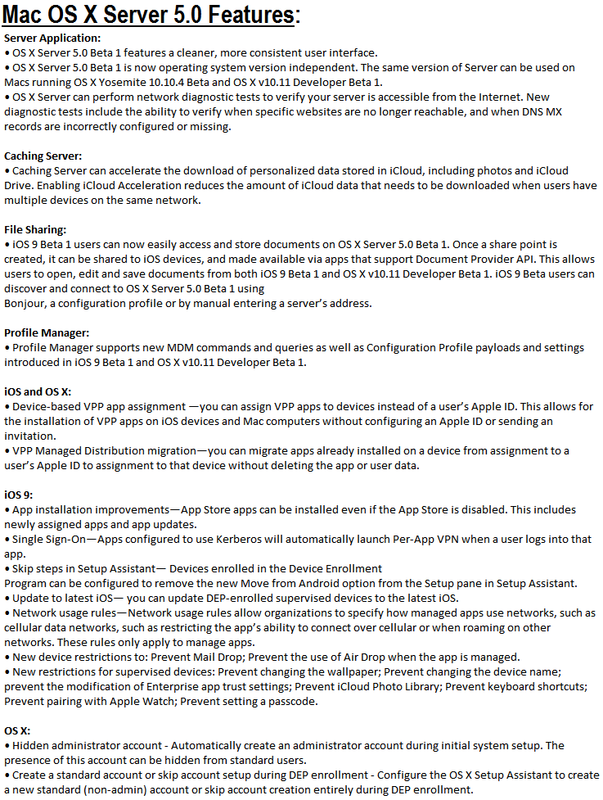 Download Apple Configurator 2.0 Beta .DMG File from HERE.